The healing power of Fawkes' tears are what allowed Harry potter to make it out of the chamber. This gorgeous phoenix is the prized position of Albus Dumbledore. 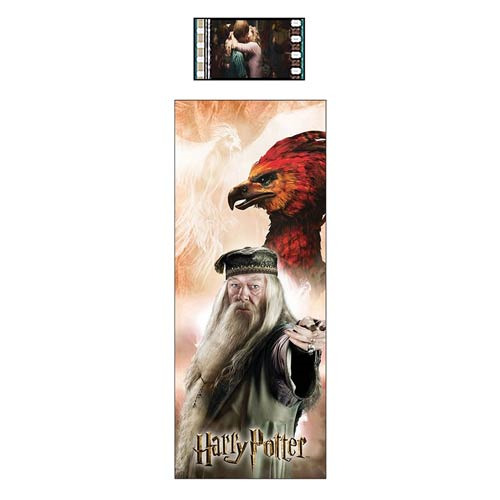 The phoenix is ready to mark your place with the Harry Potter World of Harry Potter Series 3 Film Cell Bookmark. Relive the memories with this special edition collectable bookmark that boasts a clip of real film a Harry Potter movie. Measuring 6-inches tall x 2-inches wide, this is the ultimate bookmark for fans of the Harry Potter series!